For all practical purposes this is just about the same as TJ’s Garlic Rice Noodle Soup Bowl. The major differences are; this one has a little less sodium (salt), but still 1250 mg per bowl, and lacked a “vegetable packet”. Since the label says there’s a vegetable packet (spring onions) in the kit, and since mine was missing, I should call this Spring Onion-less Soup Bowl. But I won’t quibble. A mild almost sweetish broth with some unobtrusive rice noodles makes for a quick and inexpensive lunch. 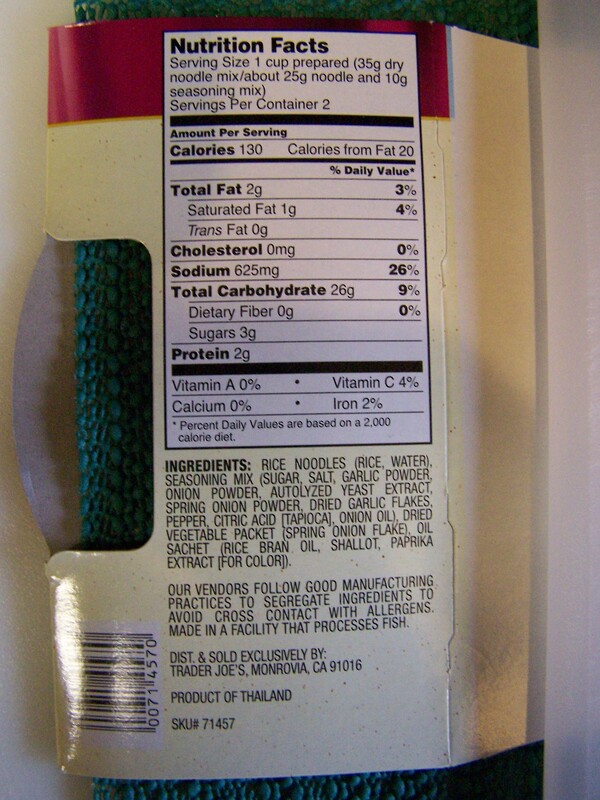 Again, the only problem is the 1250 mg of sodium (salt) per bowl. But still, not bad for 99 cents. 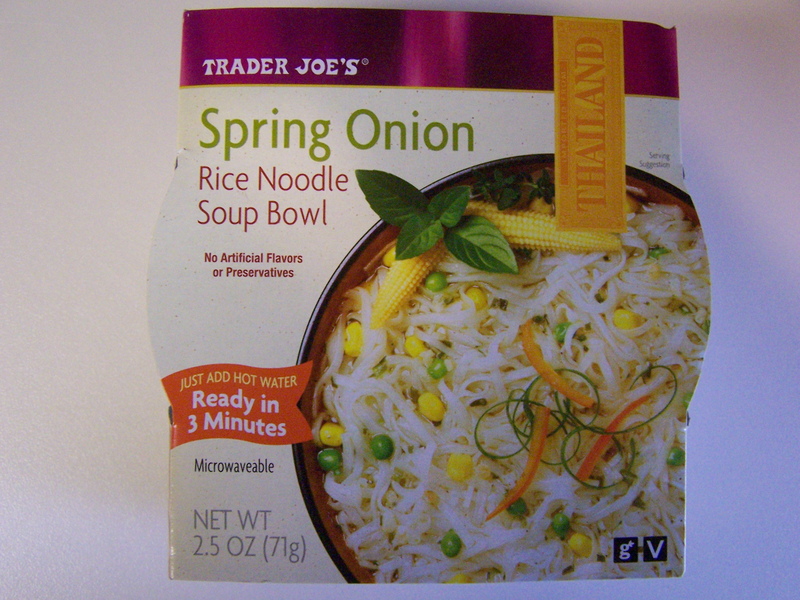 Read some additional salient points about these soup bowls here; TJ’s Garlic Rice Noodle Soup Bowl. The flavor is good. The do it yourself experience is rewarding. At 260 calories, it won’t put a lot of weight on most of us. If only it didn’t have so much, over half our daily requirement of, salt? Trader Joe claims this dish has “No gluten ingredients used” and is “Vegan”. This entry was posted on 05/31/2011 at 17:07 and is filed under Recipes, food, cooking and related items, Trader Joe's, Vegetarian. You can follow any responses to this entry through the RSS 2.0 feed. You can leave a response, or trackback from your own site.